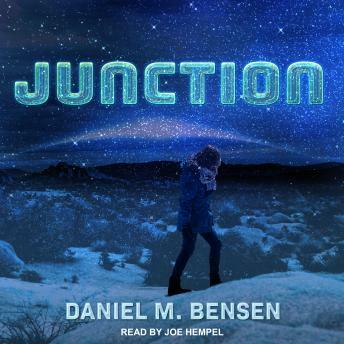 Listen to "Junction" on your iOS and Android device. When Japanese nature show host Daisuke Matsumori finds himself on an alien world, he hopes to rekindle his passion for his work. Traveling through a newly-discovered wormhole in the Papuan highlands, he joins biologist Anne Houlihan on Junction, a patchwork planet of competing alien ecosystems. When their exploratory party crashes in the alien wilderness, Daisuke and Anne try to lead bickering soldiers and civilians back to civilization alive. As they trek across one unearthly biome after another and members of the party continue to die, however, Daisuke wonders whether human politics might be more deadly than alien biology. One of his companions might be a murderer.